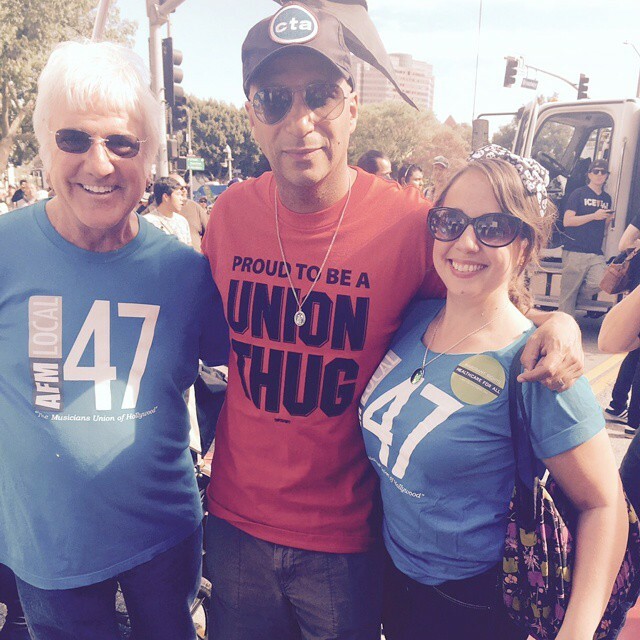 Hanging out with “Proud Union Thug,” longtime Local 47 member Tom Morello (The Nightwatchman, Rage Against the Machine, Audioslave). 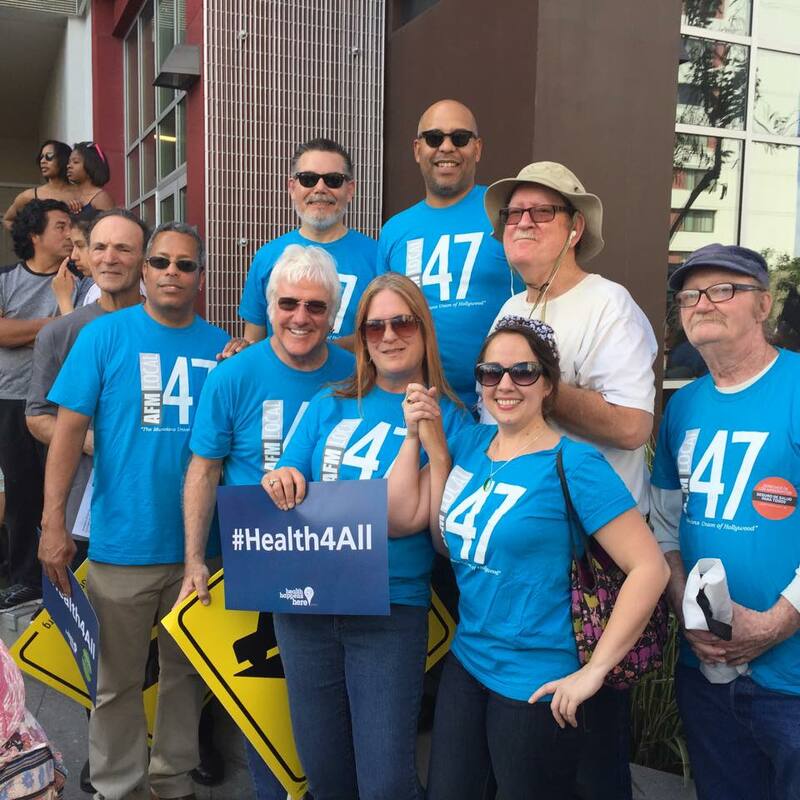 Local 47 in solidarity with Raise the Wage, Fight For $15, Black Lives Matter, LA Progressive, the ACLU, and the immigrant rights movement that seeks the implementation of DACA and DAPA without delay! 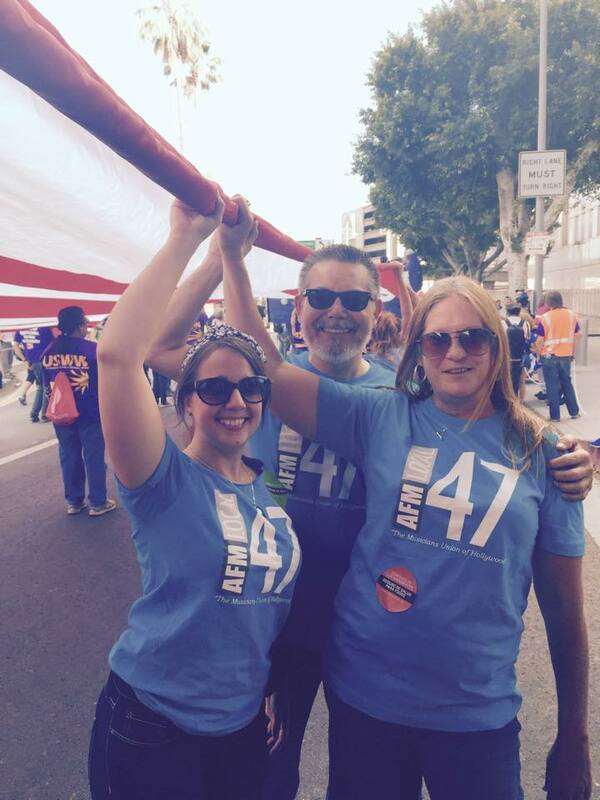 Linda Rapka, Michael Ankney & Diane Lauerman carrying Old Glory all the way from Chinatown to City Hall! 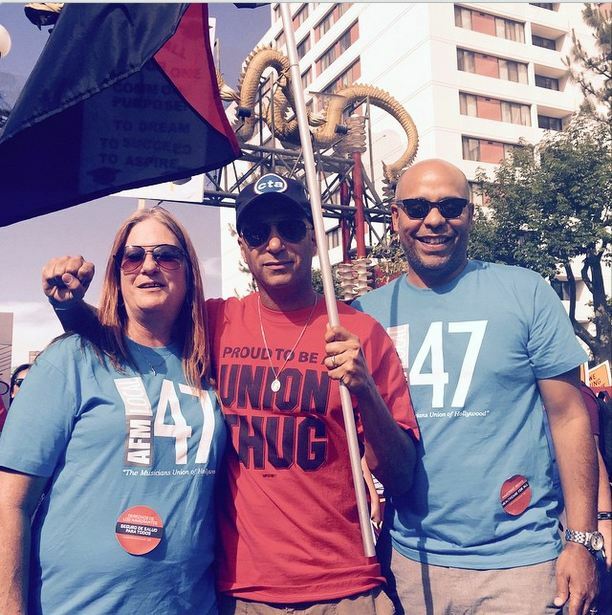 This entry was posted in All News and tagged Chinatown, International Worker's Day, labor, May Day, rally, Tom Morello on May 2, 2015 by admin.